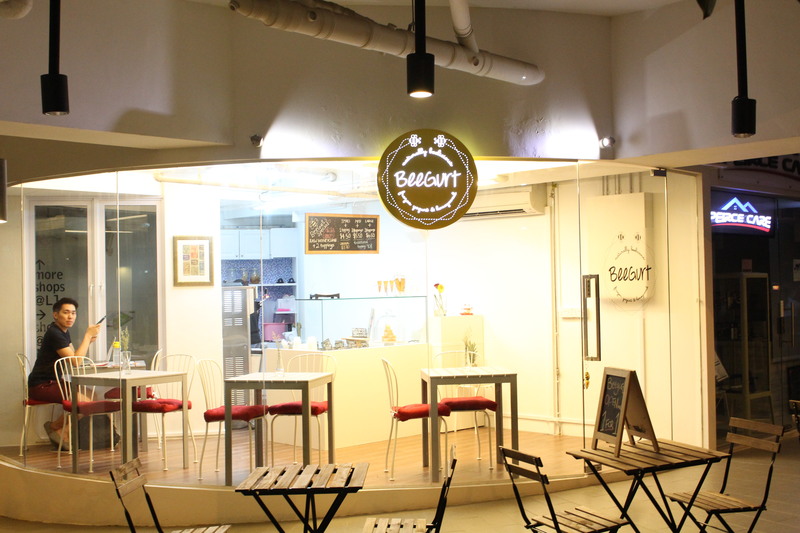 16/10/2014 – Yogurt with honeycomb is usually unheard of in Singapore, but with the recent openings of dessert places, it is now glad to know a new place that specializes in that has surfaced – Beegurt. Beegurt’s specialty is, of course, yogurt with honeycomb (probably the first in Singapore as well), though normal yogurt with toppings are also available. At the point of visit, there was a week-long 1-for-1 promotion. 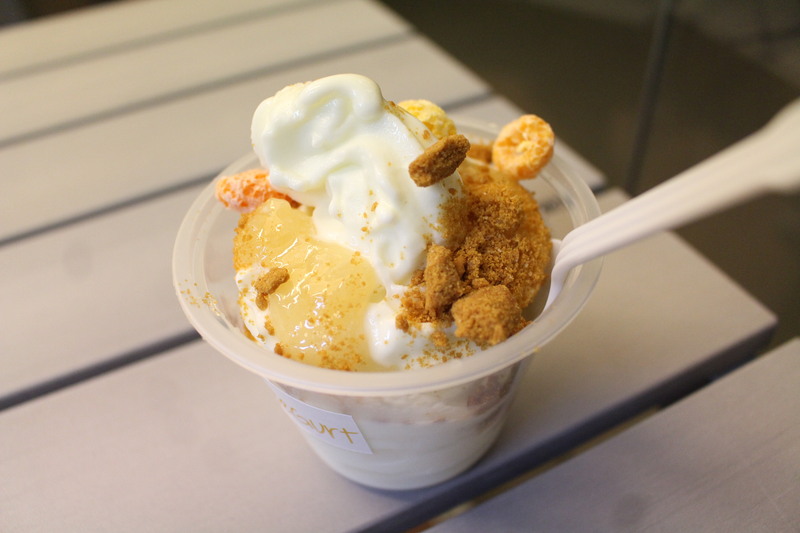 The Yogurt with Raw Honeycomb ($6.80) comes with 2 toppings (I chose Fruit-Os and Caramelized Biscuits). The yogurt is creamy, sour and the honeycomb is sweet and sticks to the caramelized biscuits! The sweet and sour combination makes this a enjoyable dessert to have! 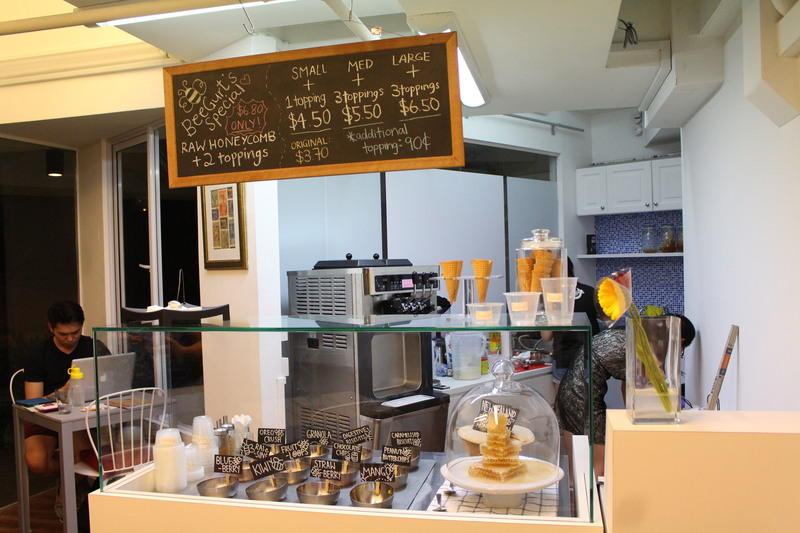 Being at the Upper Thomson / Sin Ming area where the crowds are at makes Beegurt a great dessert place to chill out at if you want to avoid the ice cream parlours, so why not give this place a visit?